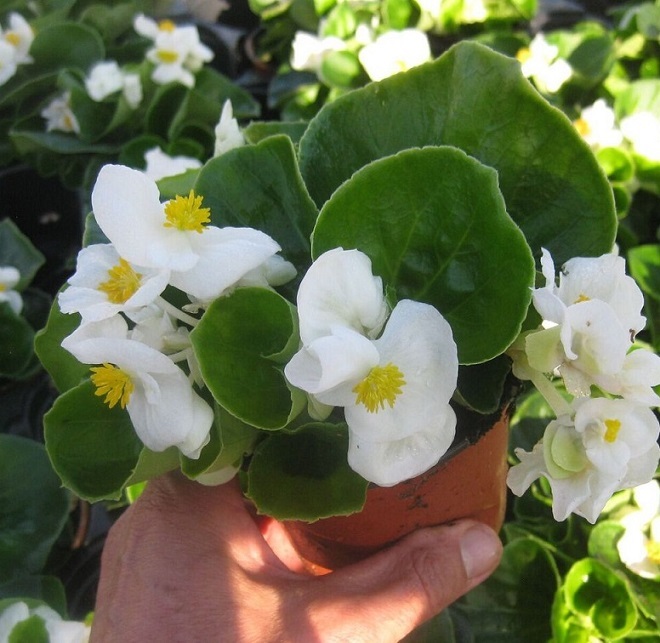 Top Hat White Begonia - Brad's Bedding Plants, Inc. The new Top Hat series are an interspecific begonia that have excellent garden performance with lots of vigor that make it an exceptional green lead begonia and has the biggest blooms in its class. They have a 20% larger flower than the BIG series. Can take full sun to partial shade in South Florida’s fall and winter climates. Grows 16-20″ tall and up to 20-24″ wide.